Slicktext.com recently had the opportunity to interview Wonny Lee, the head of digital at Greats.com. We love working with ecommerce retailers, because they help us compare the effectiveness of our service to email marketing. Wonny experienced great success with SMS marketing. 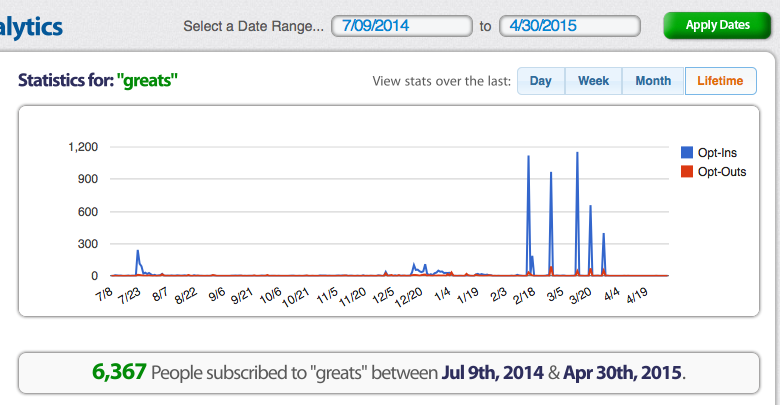 Between the period of July 2014 and April 2015, Greats.com gathered 6,397 qualified opt ins. Now, considering the average open rate of any text message sits at 99%, you can assume that these 6,000+ subscribers were extremely valuable. How did Greats.com promote their list? Simple. They gathered interest with a website widget and on site banners. Once these subscribers double opted in, they were each rewarded with a $10 off first pair coupon code. Why was this incentive valuable to the Greats.com subscriber? With limited quantities, it encouraged an instant purchase. Pictured below is the official auto reply that was sent back after a new subscriber joined the list. Note that Greats.com immediately rewards their new subscribers with the valuable offer. Never make your offers difficult to redeem, or your opt in incentives too generic. Always provide an exclusive offer for your VIPs. 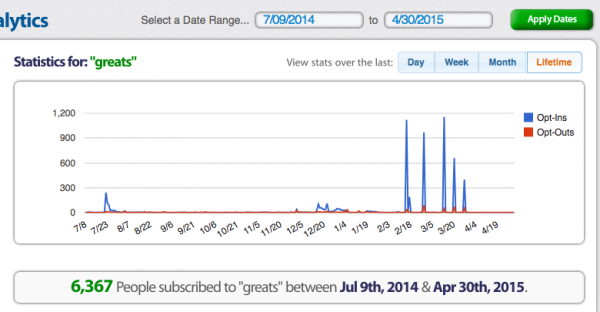 At the height of this promotion, Greats.com collected 638 new subscribers in 30 days. Wonny turned to SMS marketing for one simple reason – the open rates were undeniable. He claimed that “10,000 phone numbers would be worth more to us than 50,000 emails“. When taking the average email open rate into consideration, he’s completely correct. What made SMS marketing so appealing? To experience their continual growth, Wonny always turned to MMS messages over plain text campaigns. Being a footwear retailer, he understood the power of visual representation. These campaigns helped sell the merchandise, and build a stronger connection between product and consumer. 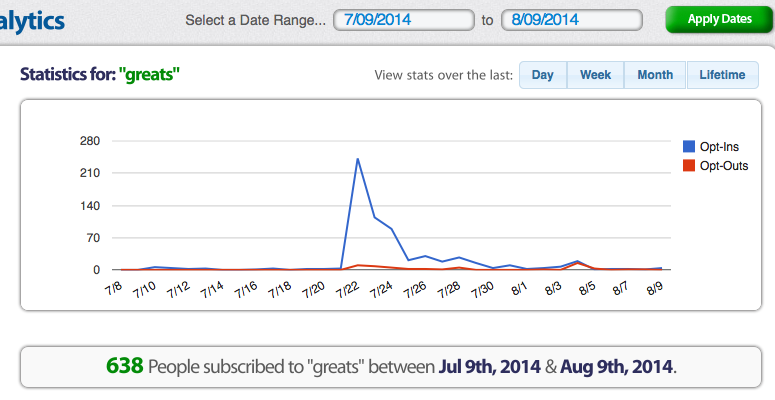 Greats.com also followed an SMS marketing strategy similar to Uber. They promoted a huge offer to encourage the initial opt in, but after that, just followed up with valuable announcements and new product alerts. This exclusivity worked well for them, as new footwear now sells out in a matter of hours after releasing an early access text blast. 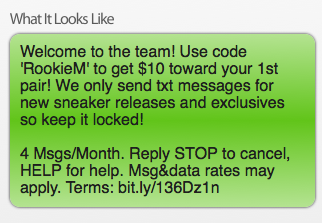 Partner up with top SMS marketing provider, Slicktext.com to promote your ecommerce store. Give us a call today at 1.800.688.6290 to sign up for a free plan.